Full of flavor and not the fat! 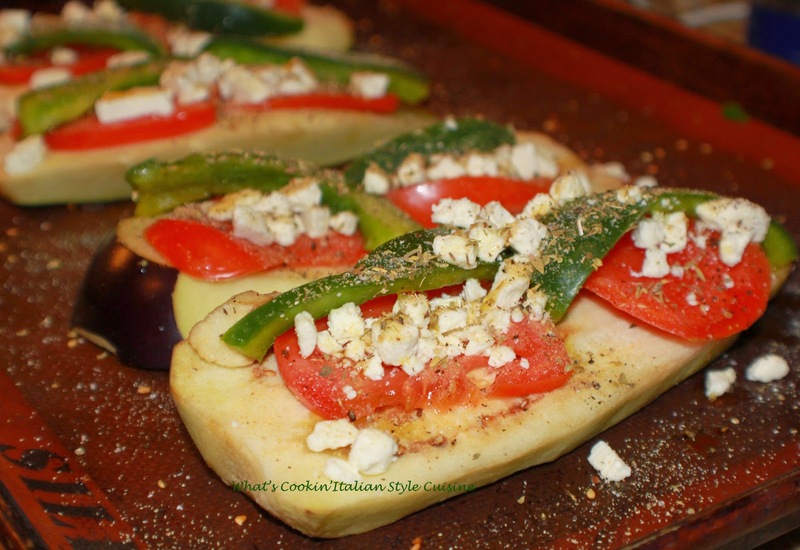 Eggplant roasted with herbs, spices and topped with feta cheese. Here is one dish I make often and even great in a sandwich with pita bread! Of course you can add what you like in spices. I usually add a little cayenne pepper for some heat. Lay the eggplant on a prepared cookie sheet lined with foil, parchment or silpat mat. Place sliced tomatoes, peppers and feta on top of the eggplant. Drizzle with olive oil and sprinkle with seasonings to taste. Roast at 375 degree hot oven until the vegetables get soft around 20 minutes. Drizzle with freshly squeezed lemon. Serve warm. This also taste great in pita bread. This looks fantastic!! 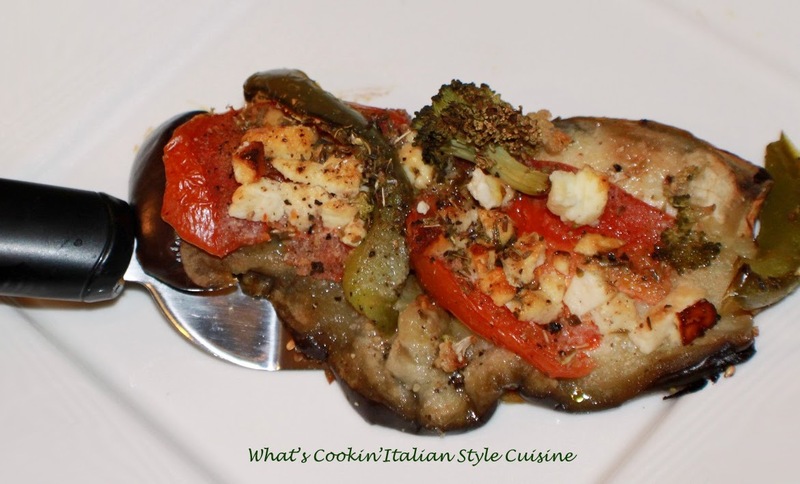 My husband is Italian and we love (I'm talkin LOVE) eggplant so this recipe is perfect for us. Sounds both healthy and delicious and can't wait to try it. Would probably do it as a pita sandwich and possibly drizzle a little tzatziki sauce over the roasted veggies before eating. This sounds like a definite winner and thank you so much for posting this! !